The Caster and the Rider. 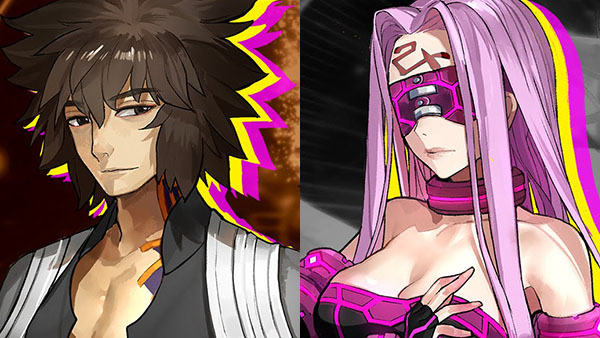 Marvelous has released two short gameplay videos of Fate/Extella: The Umbral Star focused on Archimedes and Medusa. If you missed it, previous videos focused on Iskandar, Jeanne d’Arc, Cu Chulainn, Li Shuwen, Elizabeth Bathory, Gawain, Lu Bu Fengxian, Gilgamesh, Karna, Mumei, Attila, Nero Claudius, and Tamamo no Mae. Fate/Extella: The Umbral Star is due out for PlayStation 4 and PS Vita in Japan on November 10, and in North America and Europe this winter.